Our sanitation system is often described as one of the greatest medical achievements for health. The life expectancy of Europeans has increased by 35 years over the last 150 years. About 30 of them because we are able to use a clean toilet. With water flushing a new form of spreading pathogens came into being: During each flushing process enormous amounts of viruses and bacteria – including pathogens – are thrown through the air via a spray cloud. First and foremost, they land on the toilet seat. Approximately five times more of them accumulate on the toilet paper dispenser. In the public and private sanitary sector, fittings or hand dryers increasingly come into operation contact-free for hygienic reasons. The higher standards for toilet hygiene, environment and accessibility also affect toilet paper dispensers and roll holders. However, due to a lack of suitable technologies, these do not meet modern requirements. 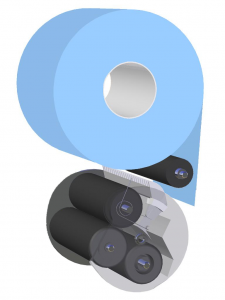 “We at SNICA have made it our mission to develop a barrier-free toilet paper dispenser that can be used intuitively and easily by all people and that ensures the highest level of hygiene”. After several years of development work, we are especially pleased to present our solution to you. The SNICA toilet paper dispenser offers a unique comfort with the integrated paper folding technology and the automatic sheet separation. It provides the best possible protection against pathogens, makes use easier for elderly or handicapped people in particular and reduces paper consumption. Simply activate the dispenser without touching it – done! No more tearing off the roll, no more tedious “fishing” of individual sheets out of the dispenser, no dislocations, no folding or crumpling. The toilet paper is provided folded in three layers and can be removed ready for use with one hand. A serious relief also for older or physically handicapped people. 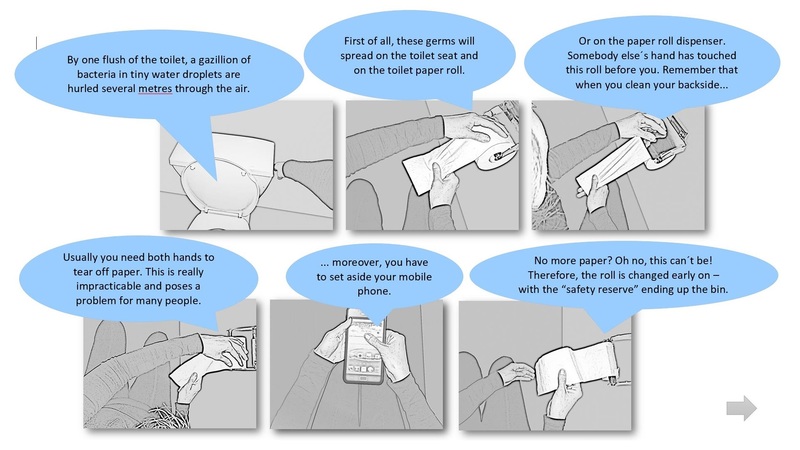 Best possible protection against viruses and bacteria – the toilet paper is already folded and removed from the dispenser. No more manual separation from the toilet paper roll and no more holding the roll back during separation. No more paper that could be touched before. No paper flags hanging freely or unprotected from the dispenser. Controlled, paper-saving dispensing. Once the folded toilet paper has been removed, the dispenser only provides paper again by reactivating it. 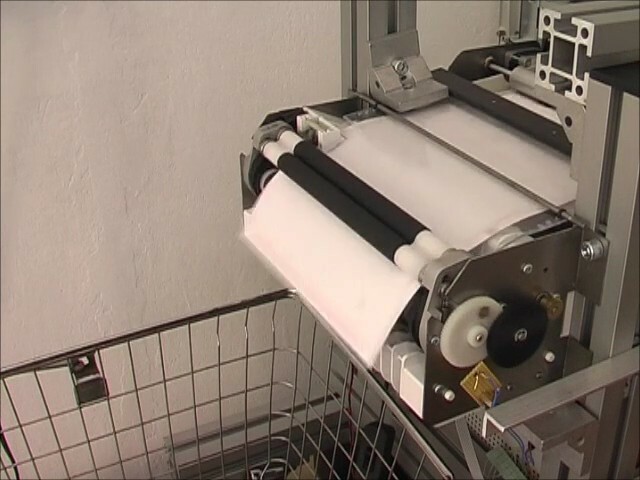 Longer refill intervals – the exchange system automatically activates the next roll as soon as one is empty. The machine can be conveniently refilled at any time. The hygienic paper section and the safety reserve with its early toilet roll change are no longer necessary. A local and/or central paper level display further simplifies the refilling rhythm. SNICA module integrated in a standard toilet paper dispenser. SNICA is an innovation that originally comes from everyday office life. 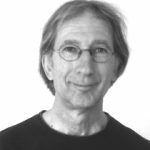 Karl L. Zechner, who had already completed a training course for programmers in the early seventies, found the manual folding of mailings and letters in his company – the first recognised organic guesthouse in the world. Austria – as very time-consuming. 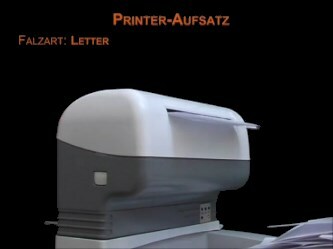 The ensuing comprehensive dispute in the field of mail processing led to excellent industry and market knowledge and to the development of SNICA folding technology. Paperhandling – A company was founded to exploit the invention. The first paper folding machine was ready for the market in 2011 and was awarded a gold medal at the iENA, a leading international trade fair for the marketing of new product ideas. The award-winning SNICA SF10.5 convinced the jury with its zigzag folding in the smallest possible space, minimum space requirement and precise folding result. The establishment of a worldwide sales network and the realisation of the enormous potential that was only discernible in the course of the development required prerequisites that exceeded the company’s possibilities despite high investments and led to insolvency. Paper folders and folding inserters have been used for many decades to make work easier and to reduce throughput times in the office. 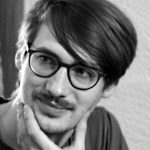 Their use has become increasingly important with the individualization of postal processes as well as in customer relationship management and accounting. However, the old buckling folder technology, which was still used many times by standard commercial devices, increasingly reached its limits. It hardly met the requirements of the rapid changes in office automation and mail processing. Smaller is no longer possible. A credit card is the measure. The rotary system works without space-consuming pockets, sheet stops and control elements. It reduces the space requirement – with an extended scope of performance – to a tenth of that of conventional technology. The SNICA technology has been was developed as a universally applicable folding module for office equipment and comprehensively tested on concrete application possibilities. It brought unprecedented flexibility in both construction and design and opened up new possibilities in the areas of mail processing, accounting and filing. The development and production status of these projects ranged from design and beta testing to field testing. SNICA is unmistakably small and always at hand. This is a significant customer advantage when it comes to the usually valuable work surfaces. SNICA is the only folding technology worldwide that offers the possibility to operate a top unit on a standard laser printer with unlimited performance. The use of a top unit eliminates two-thirds of the work steps previously required – without requiring additional floor space. The accuracy of the work of the SNICA modules was tested with perforated self-mailers. With Project SF20, SNICA’s extremely small and compact rotary folding technology once again made a quantum leap in folding technology. It offers an extremely profitable and time-saving alternative for those who cannot afford a conventional folder and inserter. Has space on every desk and is always quick to hand. Easy handling due to fully electronic control. Multiple print up to 3 sheets in the smallest space with only one tray. Paper format detection and automatic setting of folding parameters. Collect function with visual inspection or OMR coding. 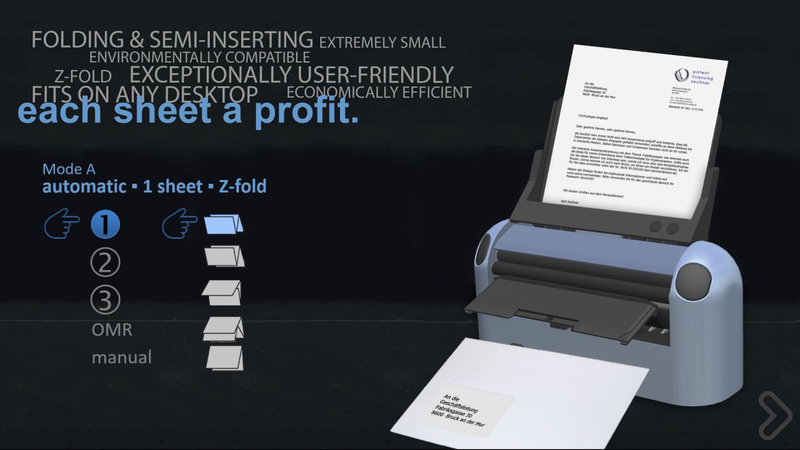 This eliminates the need for time-consuming manual feeding of each individual document set in the daily post. Up to 720 letters per hour. 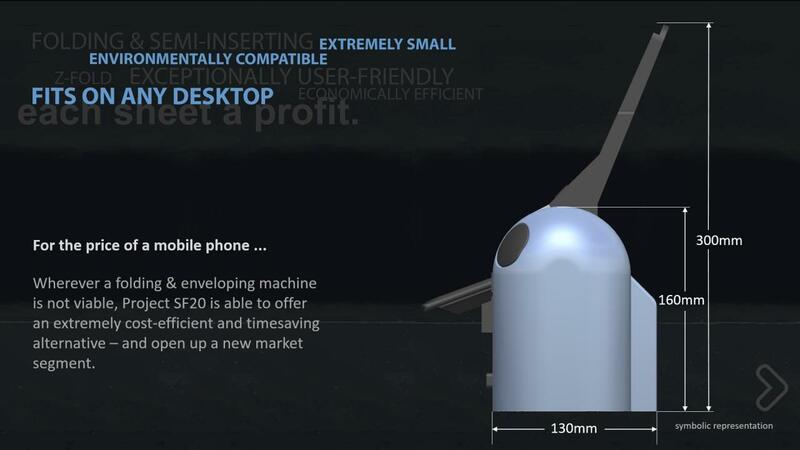 Project SF20 enormously reduces the raw material requirement and the packaging and energy costs. High profitability due to the semi-automatic functional form. 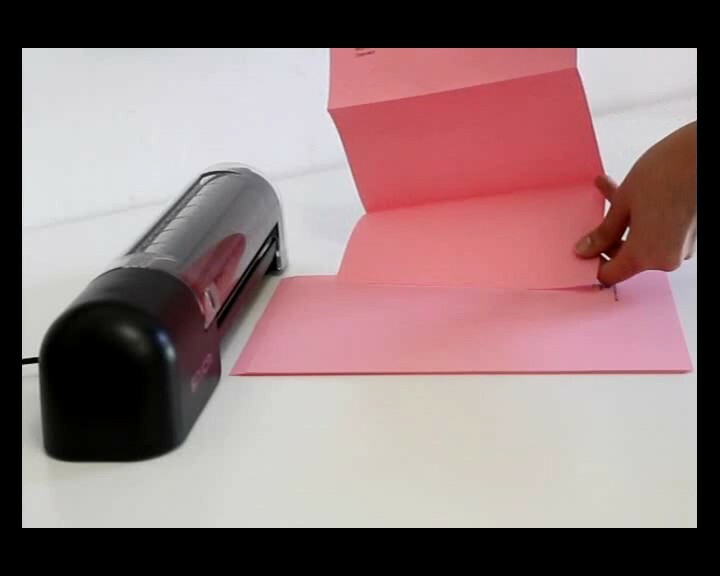 Developed for commercially available envelopes with dry gluing. 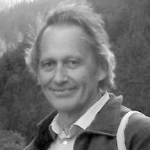 In addition to the office area, Karl L. Zechner developed a technology for folding very thin and/or soft paper material as a diversification. The system was specially designed as a universal folding module for toilet paper dispensers. In the first phase, the execution is carried out by a seed team of SNICA GmbH.